Berkeley, CA â€“ 22 September 2011 â€“ This December, the art secrets of Image Comic’s masterpiece will be revealed in THE ART OF CARBON GREY HC. The series’ astonishingly talented team of artists, Hoang Nguyen, Khari Evans and Linsun Loh will provide an extensive look at the making of the epic, richly illustrated saga, revealing the concepts, influences and designs that shaped the fantastical yet strangely familiar world of Carbon Grey. 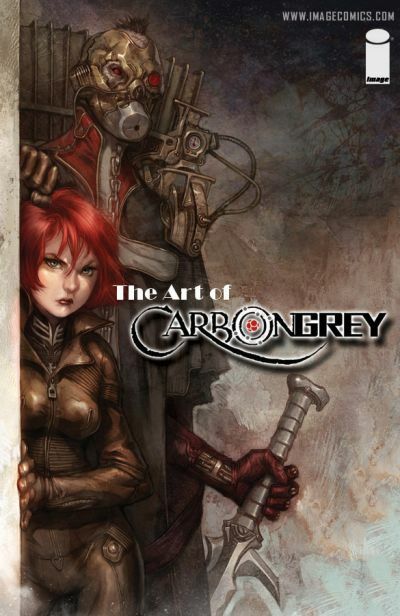 THE ART OF CARBON GREY HC (OCT110448, ISBN: 978-1-60706-474-9), an oversized 128-page full color comic art book for $29.99, will be on sale in stores December 7, and will be available for order in the upcoming November issue of Previews. CARBON GREY, VOL. 1: SISTERS AT WAR TP (JUL110459, ISBN: 978-1-60706-448-0), a 96-page trade paperback collecting the first 3 issues of the sold out first story arc and more, is available in stores now for only $9.99.